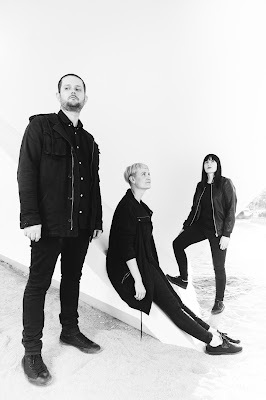 Atmosfera gélida, envolvente em ondas soturnas, evocando a synth e cold wave, cortesia do trio australiano Togetherapart e seu mais novo single "Too Far". Acrescente a todo esse clima, pitadas de trip hop deixando ainda mais elegante e sensual a sonoridade deles. Para ficar de olhos e ouvidos atentos com o Togetherapart. We try not to be ‘influenced’ per se – we are still searching for our own sound. Having said that, we find inspiration everywhere. Sonically through bands including The Cure; The Knife; HTRK visually through artists, designers and directors like David Lynch; Scott Hansen (Tycho); Chris Cunningham; and creatively through reading the works of artists and writers such as Patti Smith; David Byrne; PJ Harvey; Kim Gordon and William Burroughs. After initial nerves work themselves out –Creating sounds from scratch in a live context and sharing that with the audience feels amazing. There is nothing like being completely in the moment and receiving instant feedback from the crowd. Q. How do you describe Togetherapart sounds? That’s a tough one…right now our musical direction is pretty fluid as we absorb, integrate and interpret sounds, sights and words through our selves and our instruments/gear. Right now, we like the term: ‘Electro-Darkwave’ …but we also combine aspects of synthgaze, triphop, lofi, electronica, dreampop and glitch. But in a few months…who knows what direction we will take – it’s an evolving process. With our most recent single: “Too Far” we started simple. Experimenting with one of Zoe’s riffs, slowly building layers with synth, sampler and drum machines then finally adding vocals…we played with it for a while, performing it, perfecting it before committing to the recording process. It was then about interpreting that live sound to a studio context, making decisions along the way about what to keep and what to subtract. Working with drafts…listening…sitting on the sound for a while before tweaking and re-tweaking. It’s a slow process, but a necessary one. We got Simon Lam (from I’lls and Kllo) to mix and master this time around. Which, I can say was a great decision – it’s definitely taken our recorded sound to a new level. 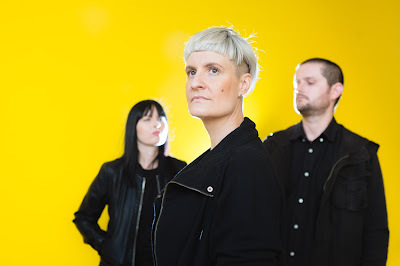 Not sure how ‘new’ these guys are but we are really digging: The Acid, Arca, and Cuts right now. Would recommend people check them out for sure! We plan on spending 2016 developing our sound. Writing, recording, releasing and performing. I think we may squeeze a couple more Harmonic Division Events in there somewhere too. Definitely watch this space! We’ll be having a free single launch on May 7th at the Retreat Hotel with local band Dear Plastic – watch our Facebook (https://www.facebook.com/togetherapartband/) or website (http://www.togetherapartband.com/) for announcements.